Take a step in the right direction with EDealer’s Build & Price / Model Showroom. 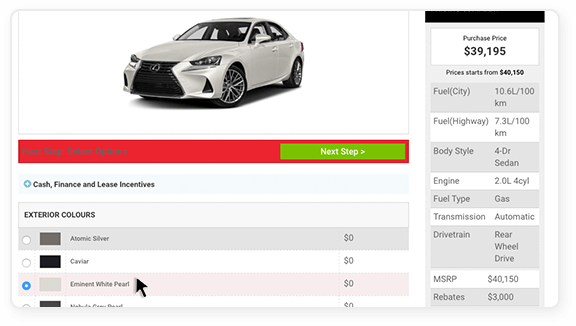 All the key manufacturer data and incentives your site has been missing can now be added to your existing dealership website. 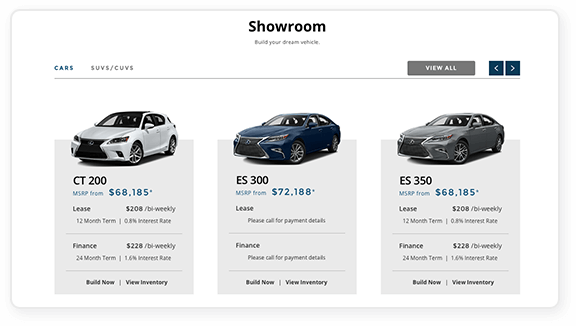 You can add our built in Build & Price with Model Showroom to any platform, any time. Most dealers see a 15% minimum increase in organic traffic along with a net 10% increase in form conversion. 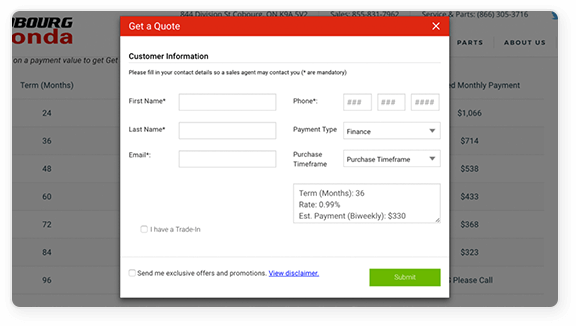 Automated Manufacturer Incentives which always keep your website up to date with current offers. It all comes down to interaction. Build & Price will increase your engagement metrics and provide a more interactive medium for shoppers to consume valuable information. 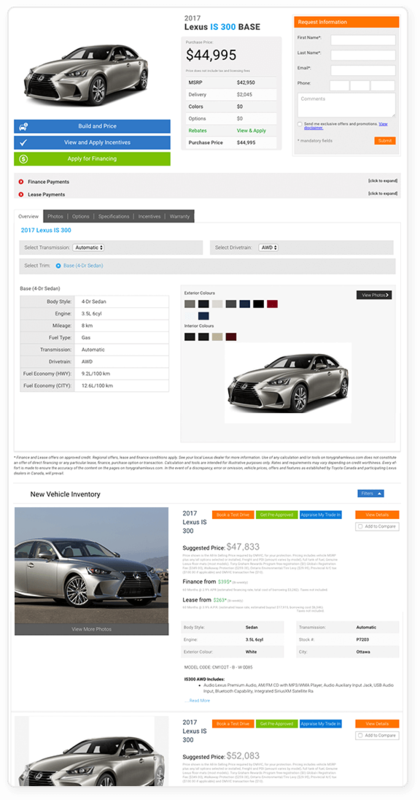 Does EDealer use I-frames to implement their Build & Price on dealership sites? No, our Build & Price is added on a sub-domain to your existing website and contains Schema.org machine readable data along with dynamic title bars and URLs. Since our Build & Price is hosted on your domain, you will receive all the SEO benefits as if it were part of your existing website. Does Build & Price work on mobile? Yes, the platform is responsive from the ground up and is optimized for Mobile, Tablet, and Desktop. 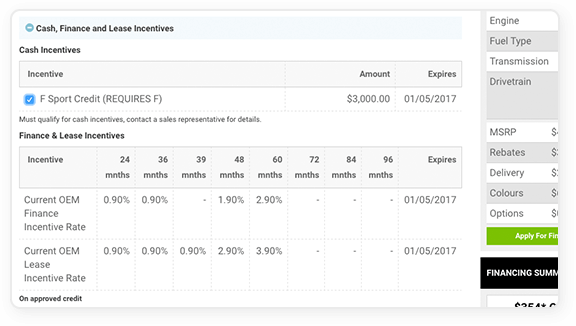 How do the Manufacturer Incentives update? Manufacturer incentives update daily from our data aggregate provider. Our data provider supplies manufacturer data for most vendors and all manufacturers in North America. 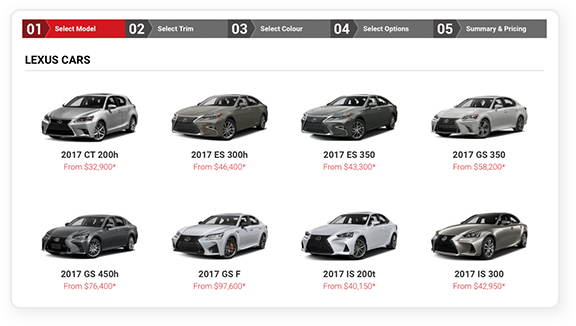 Showroom is a 1-stop shopping experience which includes standard vehicle data, current OEM incentives, along with in stock inventory in one place. All vehicle specs, options, trim lines and warranty information dynamically updated daily. Low stock on individual models can be offset by the static search engine optimized model landing pages. Highlight the lowest payments available on your new inventory automatically. With 1 click, the user can submit vehicle information along with all of the desired payment terms.